Talking Birthday Elmo. Says 5 Different Phrases! 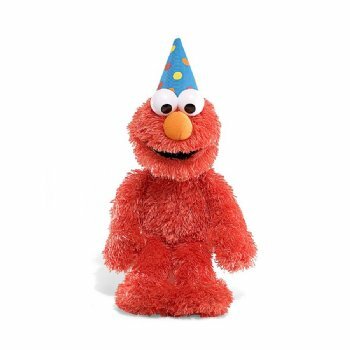 11in H Elmo is wearing a birthday hat, comes with a mini birthday greeting card and recites 5 different birthday phrases when you squeeze his belly: Happy Birthday,Elmo Loves Birthdays,How Old Are You?,Every Birthday is a Special Day,Have a Wonderful Birthday! What a great gift!